Professional cleaners like you make your customers’ lives easier; the difference between when you arrive and when you leave can be hard to believe. Without you, homes, offices, and other areas would be far less clean, orderly, and functional. Whether you clean houses or businesses, collect waste or remove debris, your clients need you to keep their spaces functioning and in working order—not to mention pleasant and inviting for everyone who lives or works there. Attention to detail and making sure things are in their proper places is your specialty. That’s why it only makes sense for you to make sure you have professional cleaning insurance. Having insurance gives you the confidence to grow your business and make your clients’ spaces sparkle without worrying about what could go wrong. It also assures your clients of your professionalism. Cleaning insurance shows them that you have their best interests at heart—not to mention the big-picture type of thinking that makes you so good at what you do. This is the fastest and easiest and best pricing for business insurance! I was pleasantly surprised at how reasonably priced, as in Cheap, it was...and it was as easy as 1,2 3! I highly recommend this company if you really want to save a lot of time, hassle and money. Why Do Cleaning Professionals Need Insurance? Is Cleaning Insurance Required by Law? Whether the law requires you to carry liability insurance for cleaning varies. It can change according to what type of business you run and its location. General liability insurance is generally not a legal requirement for cleaning professionals—but it’s always a good idea. If you have employees, or own a vehicle associated with your business, you’re probably required to have workers compensation or commercial auto insurance. Check with your local authorities to see what regulations exist in your area, and note that they can vary by state as well as by city or town. Why Do I Need Cleaning Insurance? 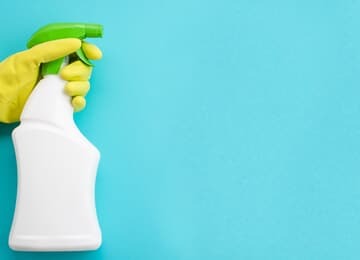 Having insurance for your cleaning business is just like wearing protective gloves or a face mask while you’re handling hazardous materials: it can protect you and allow you to focus on performing your job with confidence. And just like gloves or a face mask, cleaning insurance also proves to your customers that you’re serious about what you do. Cleaning someone’s home or office requires trust; you’re in their space, often when they are not there, and can’t monitor you. When you have cleaning insurance, you don’t need to worry that something going wrong will threaten your business or your income. How Will Having Insurance for Cleaning Impact My Business? Aside from the peace of mind that it gives you, having insurance sends a strong message to your clients about your level of professionalism. Serious cleaners have insurance, and you’re a serious cleaner. This gives you an edge over your competition—and with Next Insurance, that edge is even more pronounced, thanks to our Live Certificate of insurance. It allows you to instantly prove to clients that you’re insured. And it’s free, with the click of a button. You don’t have to pay for a new certificate every time you get a new customer; go into your account, share your proof of insurance, and you’re on your way. What Kind of Cleaning Insurance Should I Have? 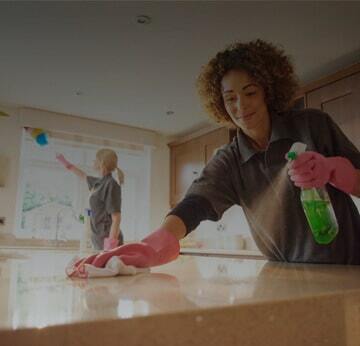 There are various different types of cleaners insurance that we might recommend. The specifics depend on the structure of your business, the type of equipment you use, and more. The most basic type of insurance that we recommend for all cleaning professionals, however, is general liability insurance. General liability insurance can protect your business in the unlikely event of a mishap that someone might blame on your business. It can cover three main types of incidents: bodily injury, personal injury and property damage. “Bodily injury,” in this context, means someone other than you or your employees gets hurt because of something connected to your business. For example, if someone doesn’t notice your “Caution: Wet Floor” sign, slips on a recently mopped floor and breaks a wrist, general liability insurance could compensate him and cover his medical expenses. “Personal injury” refers to other, less tangible types of damage to someone as a result of your business. For example, maybe you were organizing an executive’s desk and came across information in the papers you’re putting away. After you mentioned something you saw to someone else, you realized you have leaked confidential company information. If the company sued you for damage resulting from that leak, general liability cleaner’s insurance could cover your legal expenses. “Property damage” refers to a situation where you or your business are to blame for harm coming to something belonging to someone else. As a cleaner, you’re handling other people’s possessions all the time. No matter how cautious and respectful you are, you’re only human! If you accidentally break a mirror, or spill a chemical that ruins a carpet, general liability insurance could pay for a replacement. Next Insurance’s general liability policy for cleaning professionals is based on careful research. We tailor our policies specifically to the needs of your business, giving you coverage for the things you really need and leaving out the extras that you don’t—offering you great coverage that is also very affordable. How Much Does Cleaning Business Insurance Cost? Every business is different. We believe in providing insurance that covers only what your specific business needs. As a result, we can’t give you a general cleaning insurance quote without knowing the details of your business: how big it is, what services you offer, where you operate, if you have employees and if so how many, etc. Generally, our cleaning insurance policies cost somewhere in the range of $1 per day. To find out exactly how much your insurance will cost, just get a quick cleaning business insurance quote from our website—you can do it online and you’ll have your answer in just a few minutes. We know that buying insurance for your cleaning business is one part of entrepreneurship the can be confusing. You want to be sure you’re getting insurance from a company that will provide you with good service you can trust. And, of course, you want to be sure you’re not overpaying for your coverage, or buying coverage you just don’t need. We could tell you how strongly we believe in providing good, trustworthy service and empowering small businesses. But it’s probably better to hear it from business owners just like you who have experience with us. Feel free to check out our customer reviews and testimonials to see for yourself how satisfied other cleaning professionals have been with our service. If you have any more questions about our insurance policy for cleaning professionals, you might appreciate our Frequently Asked Questions section answering some of the common questions and concerns other business owners like you have had.